In the old days, computers ran much more slowly than they do today. We tried to increase performance in any way we could: an attempt could be as simple as writing a “/” in the browser. Some of the consequences of this effort remain today, despite the fact that our computers now run at astronomical speeds! For web addresses (URLs), different standards have evolved over time. Internet browsers like Google Chrome, Firefox and Internet Explorer on PC computers have evolved to make it easier for us to use links – including our “go links” – and these 3 browsers do not require us to include a trailing slash in go links. This means that using either, for example, “go/helpdesk” or “go/helpdesk/” will work as expected, taking us to the Middlebury Technology Helpdesk site. Macs, on the other hand, frequently use different standards from PC machines (e.g., when storing files, using search algorithms, or for file compression). 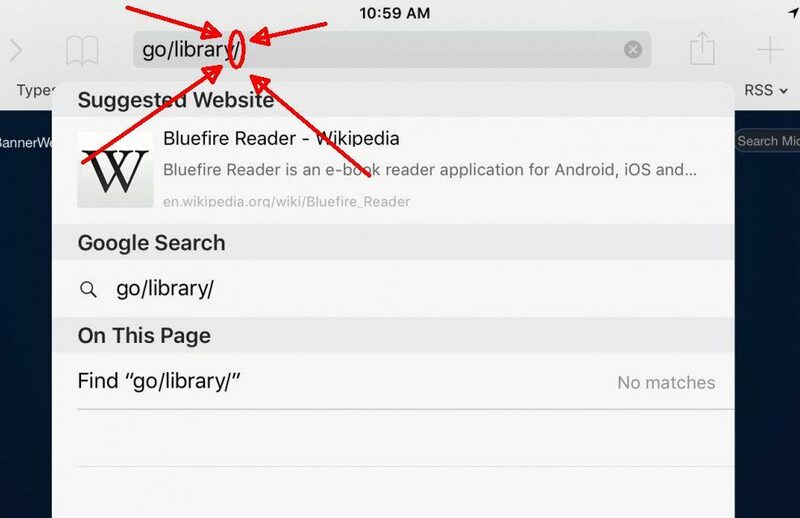 So when you use “go links” with Apple’s Safari browser, you will always need to include the trailing slash (e.g., go/helpdesk/). If you omit it, your search may result in errors, especially if Google is not your homepage. If Google is your homepage and you use simply go/helpdesk with Safari, it will assume that you wanted to Google “go/helpdesk” and will retrieve search results for that phrase. So, if you find your browser behaving strangely when using “go links,” try adding the 2nd slash at the end, and also make sure you are connected to the official Middlebury network! Am I the only person who truly loathes “go/” links? This is the very first time that anyone has ever told me that I need to use a “trailing slash” since I use a Mac. And what do you mean “connected to the official Middlebury network”? Does that mean I am supposed to be logged in? Try doing that from your phone! The problem with go links is that if you don’t use them, you can NEVER, EVER find anything. They’re lazy. Please tell me where something is! Thanks for your comment. I am glad that now, at least, you are aware of the “trailing slash”! I can’t say whether or not you are the “only” person who doesn’t like the go-links, but most people I’ve spoken with find them very useful, precisely because they make it easy to access content (the way browser bookmarks also do, for example). Perhaps now that you know to use both slashes in the go-link, you will find them more useful! Regarding “official Middlebury network” – sorry for the clumsy phrasing. It was just our way of trying to say that the short (i.e. “go/…/”) go-links work when connected on-campus, but if you are off-campus (e.g., on your home provider’s network) you will need to spell out the longer form (i.e. “go.middlebury.edu/…/”). Please feel free to contact your me, your liaison, or the Technology helpdesk if you have additional questions!